There are 2 cat videos tagged with fishing-cat. 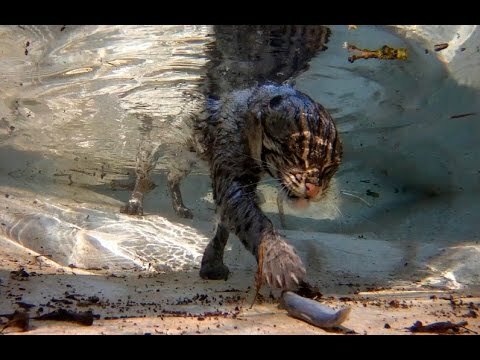 Watch a fishing cat dive underwater for food. He's part of the European Endangered Species program. He goes under the water to grab fish and pull them out one by one. At the end of the video, he notices the camera watching him and gets a little payback.